Hessian Kettering, Earl of Grampion, tried marrying in haste as a very young man and got years of marital drama to go with his endless regrets. He's older and wiser now, and has responsibility for an orphaned ward who needs a maternal figure. Hessian is determined that his next countess will be a settled, sensible lady with a spotless reputation. Lily Ferguson seems to fit Hessian's requirements beautifully, and if she also kisses like his most cherished private dreams, that's no reason to doubt his choice. 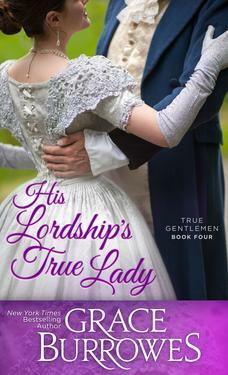 As an heiress from a good family, Lily Ferguson has been subjected to the attentions of fortune hunters and fawning nincompoops for years. Because the bachelors won't take, “Stop ogling my settlements,” for an answer, she's developed a reputation for being difficult. Lily finds spending time with Hessian Kettering so very easy though. He likes a woman who speaks her mind, and Lily adores a man who actually listens to the ladies in his life. But what will Hessian have to say, when he finds out Lily is not the heiress polite society thinks she is?